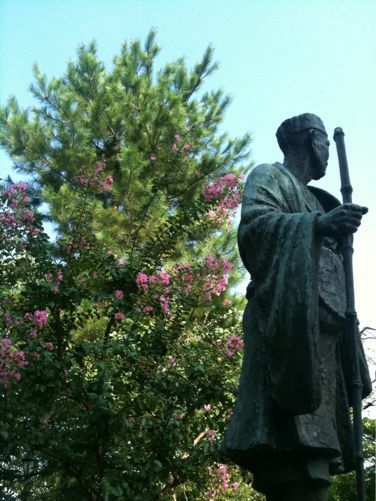 It is a Matsuo Basho bronze statue that pauses on the Soka Matsubara stroll road that often passes by bicycle. Though it is snug, there is a pentagonal building nearby where the row of pine trees and the Ayase river can be commanded. Here is the cool point where we feel stage emotion. 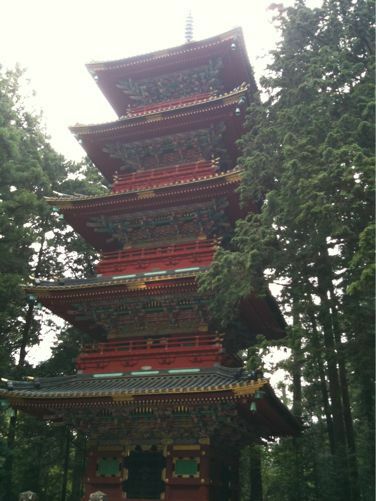 It is Five Storied Pagoda in Nikko Toshogu shrine. This is forward about the front gate. The sculpture of twelve zodiacal signs seems to be given to one layer. 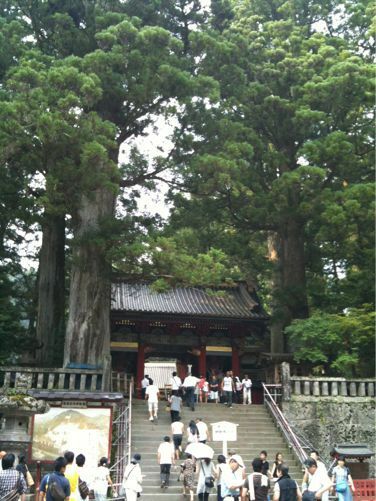 We came to Nikko Toshogu shrine by using a day of summer vacation. It mists a little probably because of the heat. However, we were very healed thanks to the cry of higurashi (Evening cicada).